Micromax Mobile is an Indian consumer electronics company. The head office is located in Gurgaon, Haryana. Micromax started working as a software company in 2000 and operated on embedded platforms. The company entered the business of mobile phones and became one of the largest Indian companies producing phones operating in budget segments in 2010. The association was registered as Micromax Informatics on March 29, 2000. The organization began selling mobile phones in 2008 with an emphasis on low prices to compete with other brands. Because of power problems in Devas, Rahul Sharma saw how the OPP is charged by the battery of the truck, and then he decided to produce phones with extended battery life. 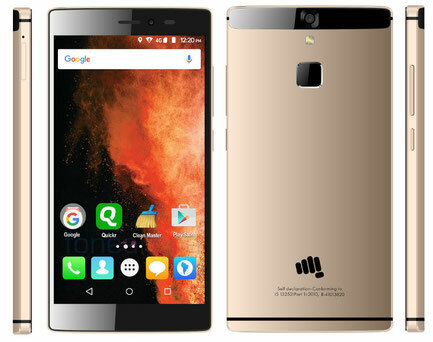 Micromax launched its first phone with a monthly backup battery charge, known as the X1i. In 2014, Micromax surpassed Samsung, becoming the manufacturer of mobile phones, which made the largest number of traffic in one quarter in India. On January 24, 2014, Micromax became the first Indian mobile company to start sales in Russia. In December 2014, Micromax sued the Chinese manufacturer of smartphones OnePlus. It was alleged that OnePlus violated Micromax's exclusive rights to distribute products based on CyanogenMod in South Asia. The Supreme Court of Delhi temporarily banned OnePlus from manufacturing smartphones based on CyanogenMod. 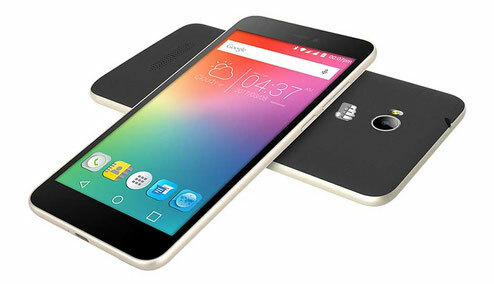 However, soon the Chinese company said that its version of CyanogenMod differs from the one produced by Micromax. Later, an exclusive agreement was concluded between Micromax in the US and OnePlus. In 2011, Micromax entered the tablet market with the Funbook series. Micromax launched the flagship Octa Core smartphone, named Canvas Knight A350 under the slogan "Can be Furiously Fast" in January 2014 in Russia. In 2014, Micromax launched its Android One smartphone, known as the Canvas A1. In November 2014, Micromax partnered with Cyanogen Inc to provide Cyanogen, based on smartphones in India under the YU brand. On June 17, 2015, the company released the Micromax Canvas Silver 5, which they claimed was the thinnest phone in the world. Although most of the smartphone Micromax runs on Android, the company also sells smartphones running Microsoft Windows Phone 8.1. Micromax released two Windows phones in June 2014, Micromax W092 Canvas Win and Micromax W121 Canvas Win at a price of ₹ 6500 and ₹ 9500 respectively. Since April 2014, they have started the production of LED TVs and tablets at their plant in Rudrapur (SIDCUL), Uttarakhand.